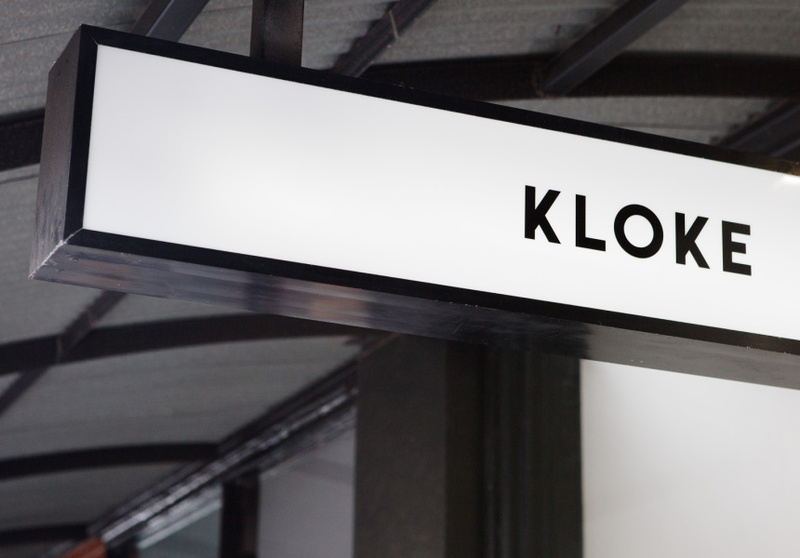 In 2011 Kloke was born, starting small and growing progressively ever since. 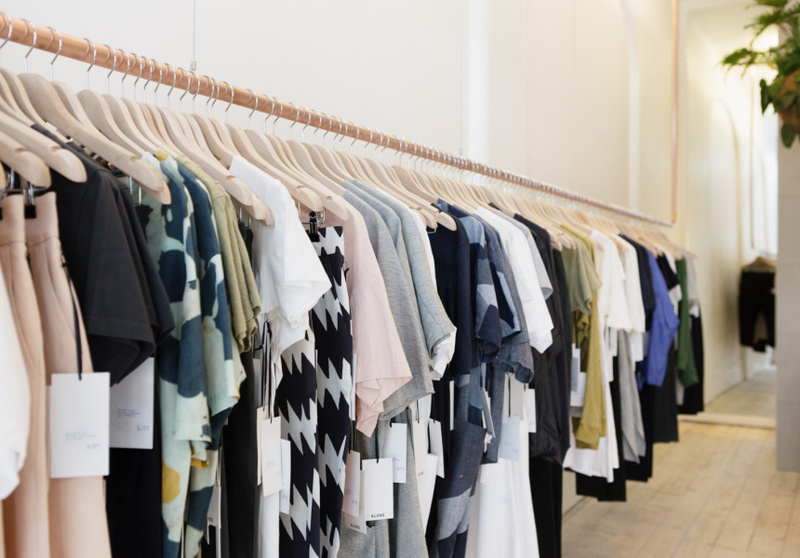 Taking inspiration from the sea, World War I M60 splinters, birds-eye-view parachute camouflage prints and fault lines from the earth’s surface, Kloke defiantly bucks against the fast-paced season by season trend setting fashion tends to imbibe, not by rallying loudly and garishly, but rather by taking a deep breath and moving in a far more holistic way. 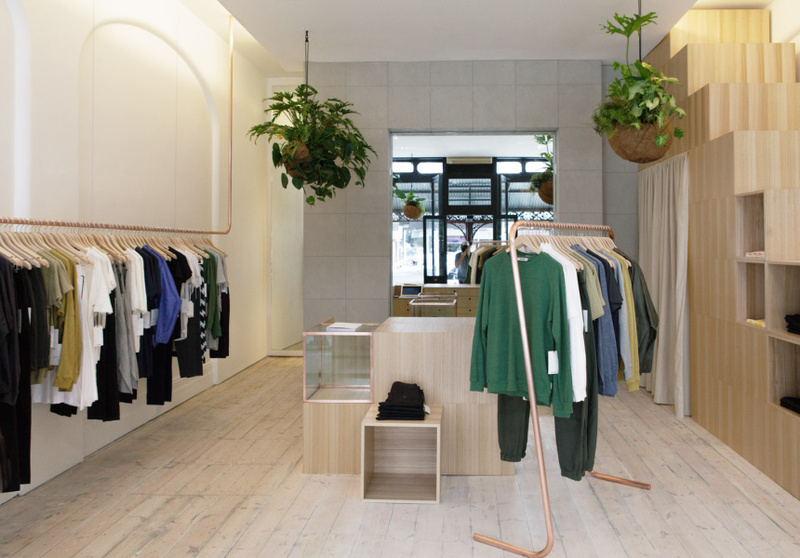 With many Australian labels in dire straits and others opting for online-only, Kloke decided to go their own way, opening the first Kloke store on Brunswick Street. 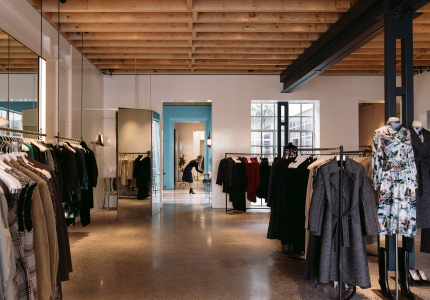 Working with Sibling on the design of the Zen-like space and Roopacorp on the fit out, entering the store feels almost like you’ve stepped off the bustling street into an alternate, meditative world.